Why Nam O Reef is special ? Nam O reef is the new destination for the tourists because the tourism companies rarely offer Nam O reef in the discovery process. However, Nam O always makes the tourists curious and interesting when coming here. According to the local people, “Nam O” means the south of O District. The Nam O village used to support local people by producing firecrackers until the government banned. Today, villagers make Nam O fish sauce and raw fish salad. Nam O beach is one of the most beautiful beaches of Da Nang city. The blue water, clean atmosphere, delicious dishes, especially local people, which contributes to introducing Nam O beach with domestic and foreign visitors. 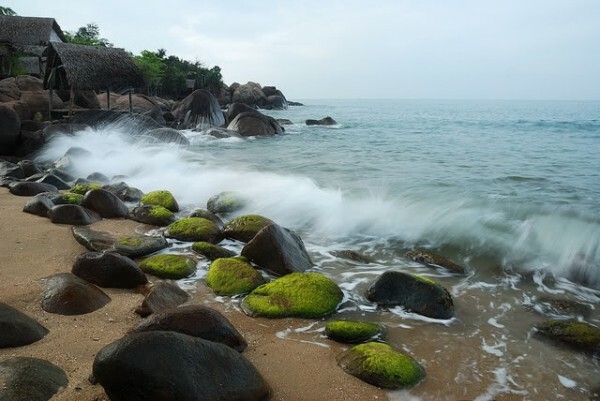 Nam O beach is a gift of nature. Because of the variety of seafood, Nam O is well known for Nam O raw fish salad.This dish is made from kinds of fishes and especially Nam O fish sauce. What to explore at Nam O Reef? The area of Nam O Reef is about 2 hectares which are divided into two parts included Ca Reef and Con Reef. The Ca reef runs to the north-west which is approximately 300meters in length, 50 meters in width. On the other hand, Con Reef is located parallel to the Ca Reef. Between two reefs, there is a small creek which about 20 meters in width (the local people call it “long reef” for short). 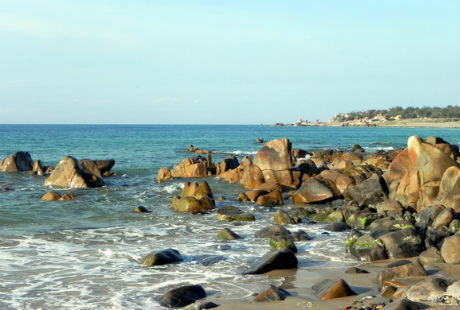 Nam O beach is a great place for rare fish and other marine species. It also has clear water and white sands stretching along the foot of the mountain. Tourists come here will admire the beautiful scenery between fine sand slightly discolored when trying way down, constant water waves pounding the shore, the vegetation hides under the translucent waters of enchanting people. How to get to Nam O Reef? Nam O reef is located at Hoa Hiep Bac Ward, Lien Chieu District, Da Nang. From Danang International Airport, you can take a taxi to reach the place. Because of the variety of seafood, Nam O is well known with Nam O raw fish salad.This dish is made from kinds of fishes and especially Nam O fish sauce. Indeed, there are lots of people who proud of knowing every little way but still can’t avoid being cut by those sharp corel, so you should be careful. You can visit Son Tra Peninsula by the road along the mountain or by boat, or come to Co Tu village which has ethnic groups in Hoa Bac Commune, Hoa Vang District, Da Nang city.